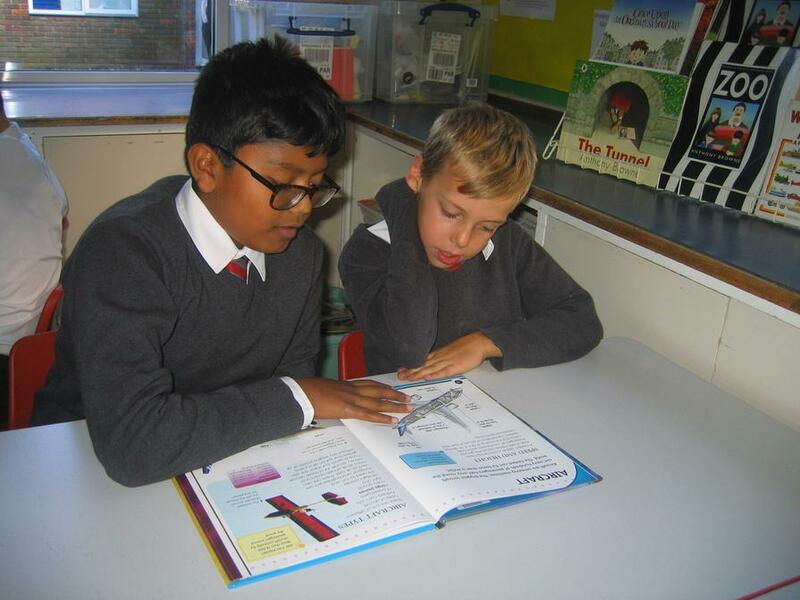 At the end of 'Road Safety Week' year six and year three shared the work they had done in PSHE. 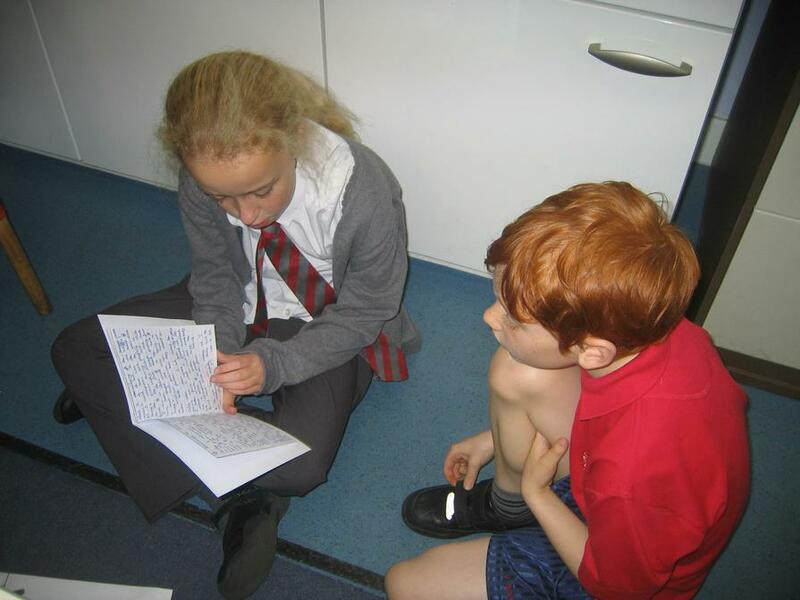 The year threes left with a leaflet, written by their year six buddy, to remind them how to keep safe and be seen when walking to and from school. 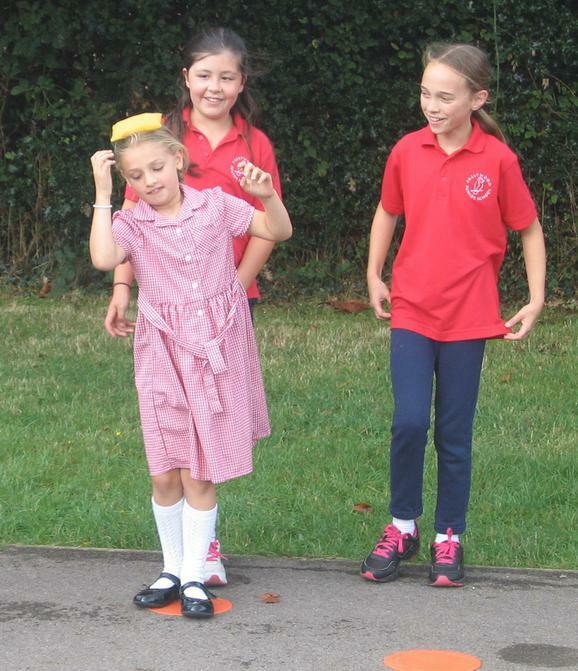 The event was made all the more colourful as we were also treated to some great hats for our hat/scarf Mufti day. 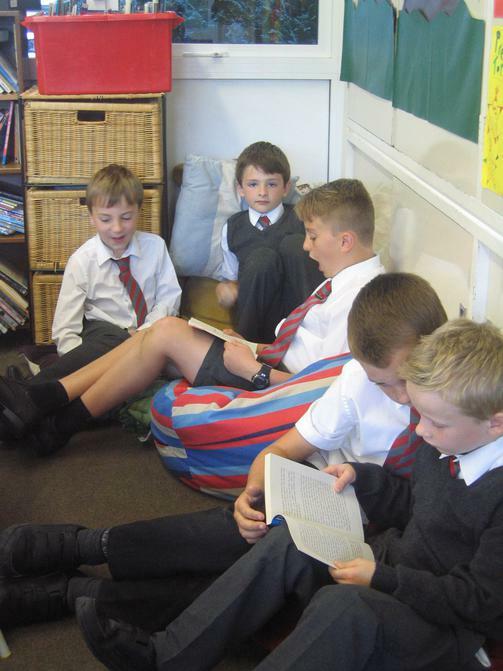 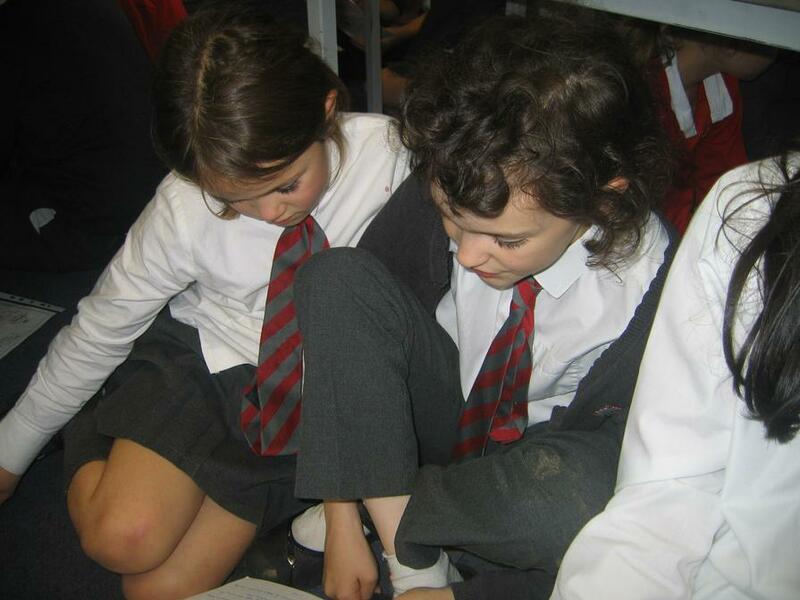 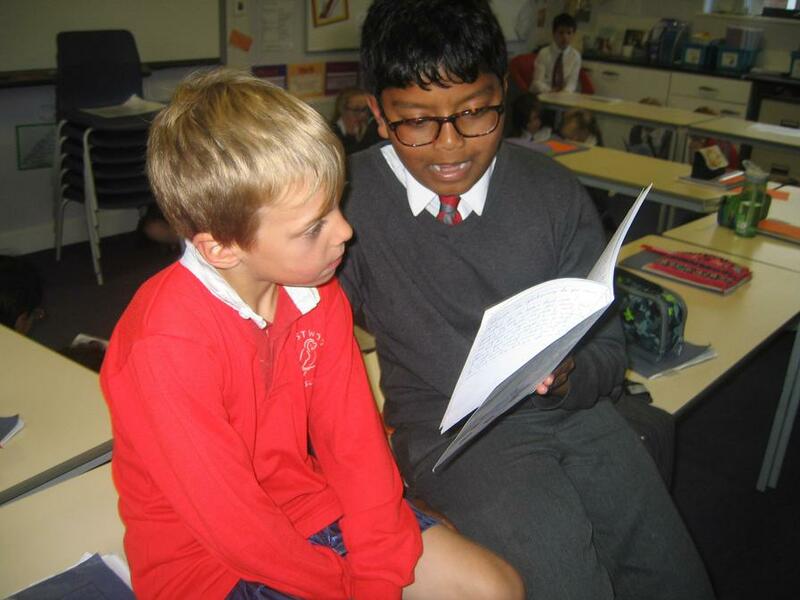 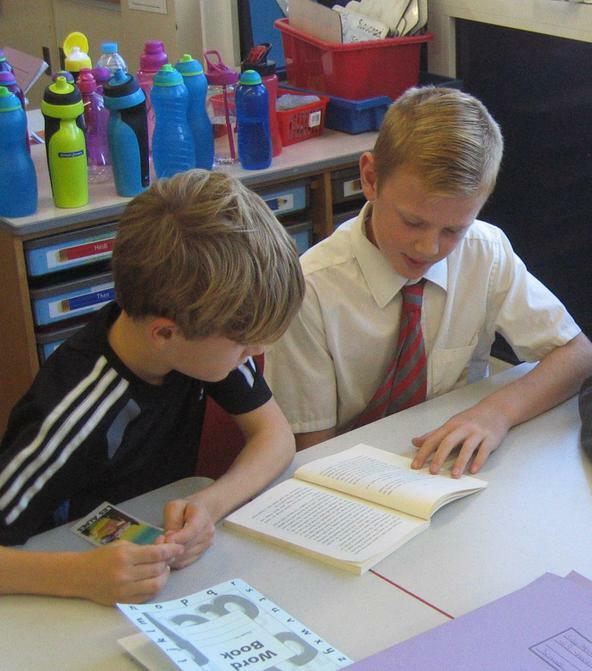 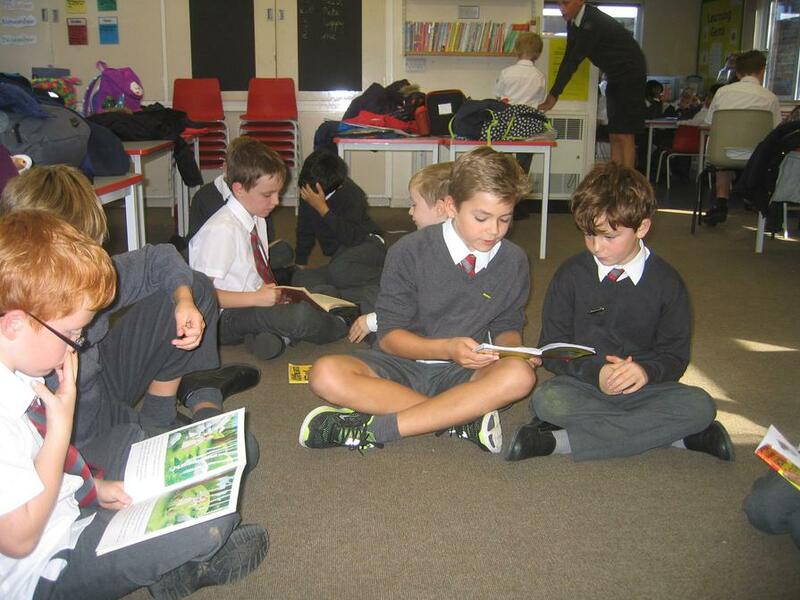 The Year Sixes shared their detective stories with their buddies, and enjoyed the chance to share their writing, and as you can see from the pictures below the Year Threes enjoyed listening to the stories. 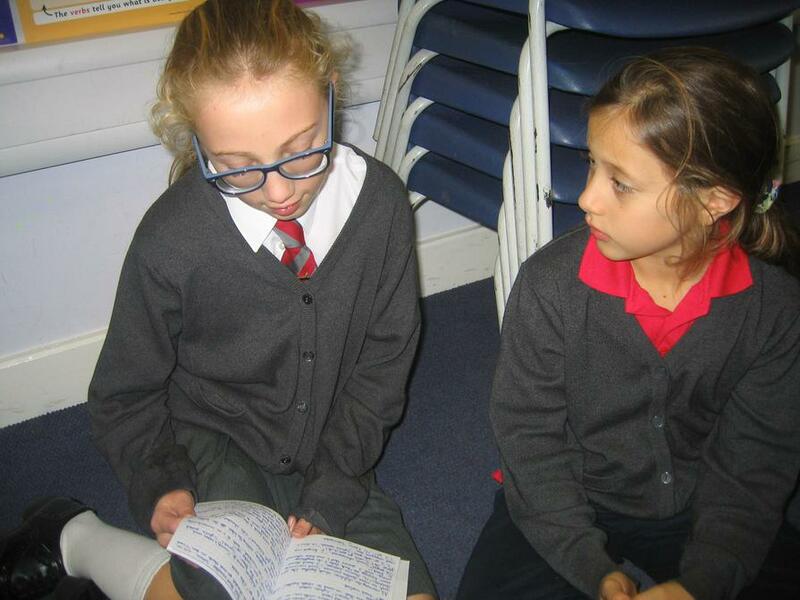 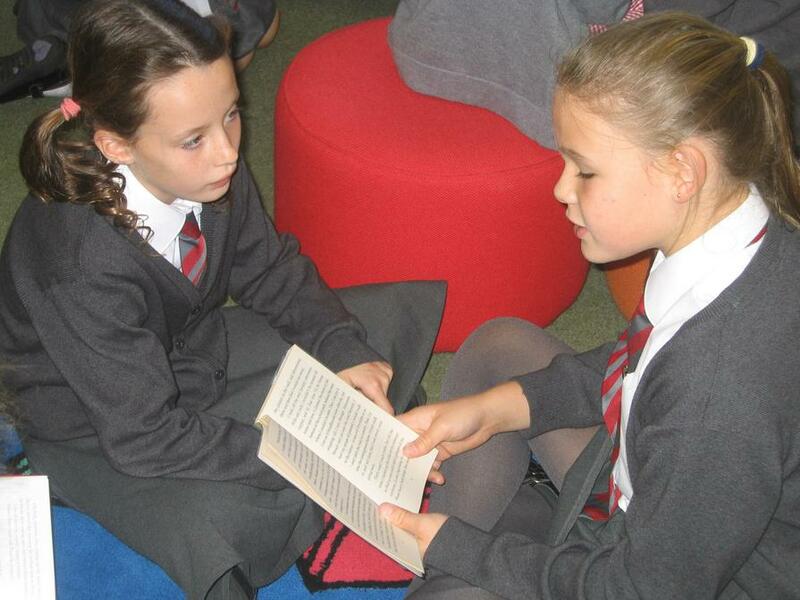 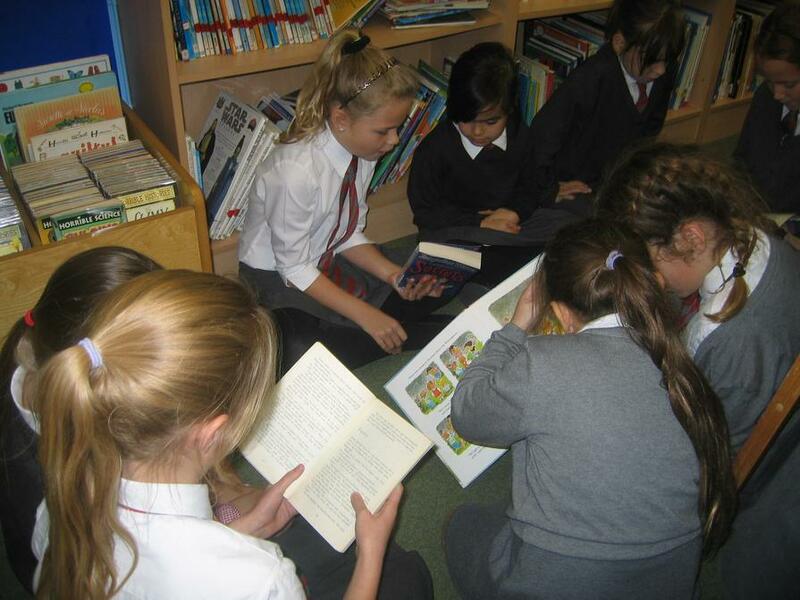 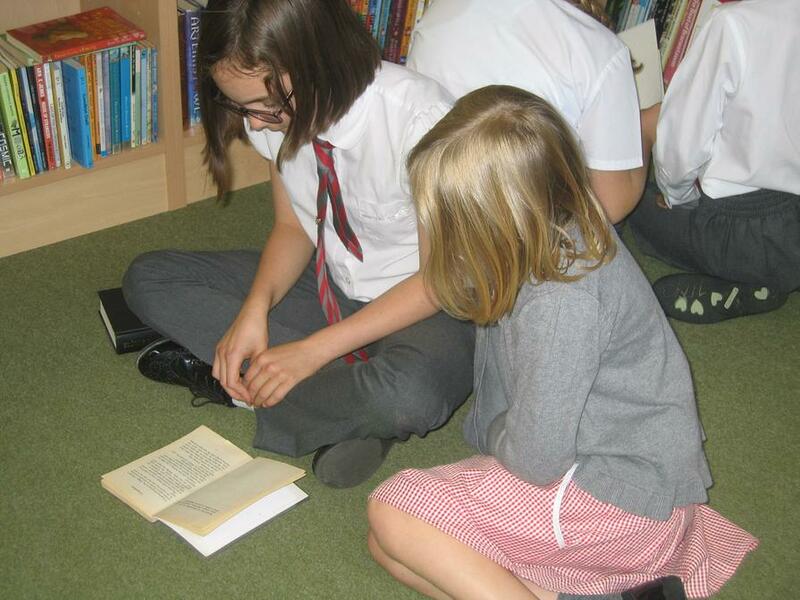 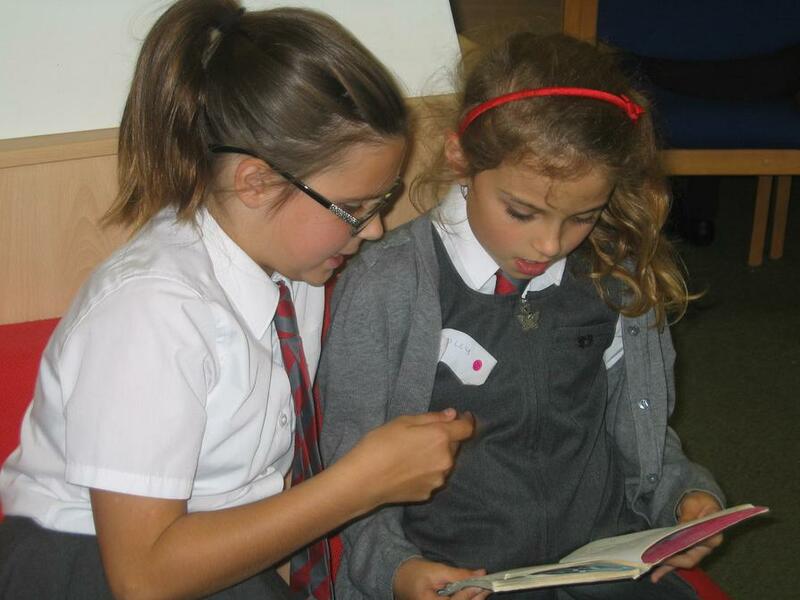 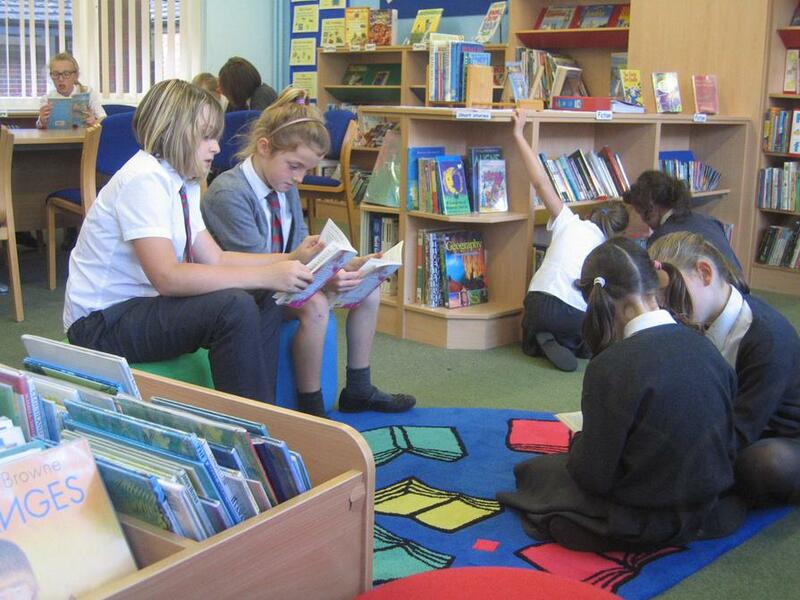 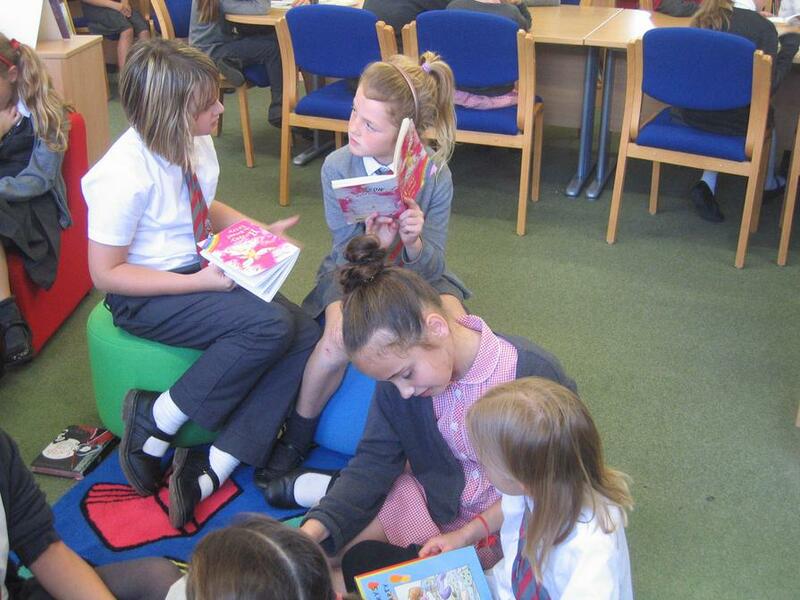 The Year Sixes are all looking forward to hearing the stories the Year Threes will be writing after half-term. 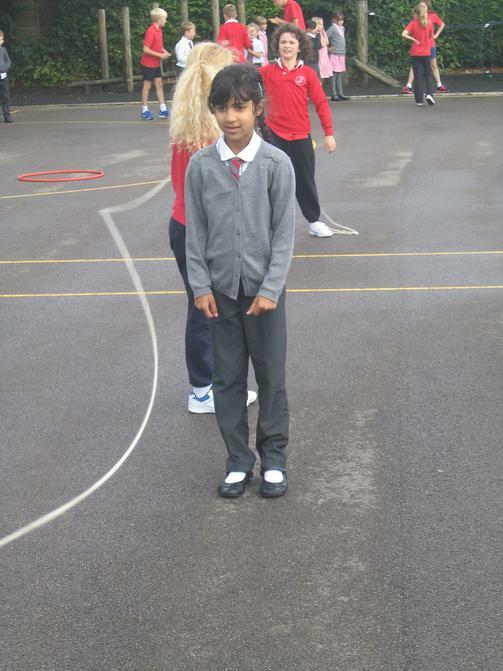 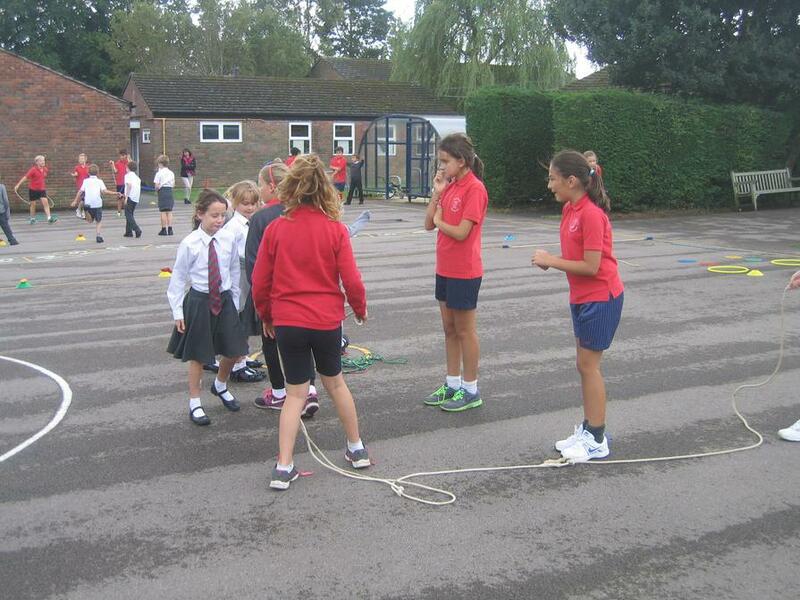 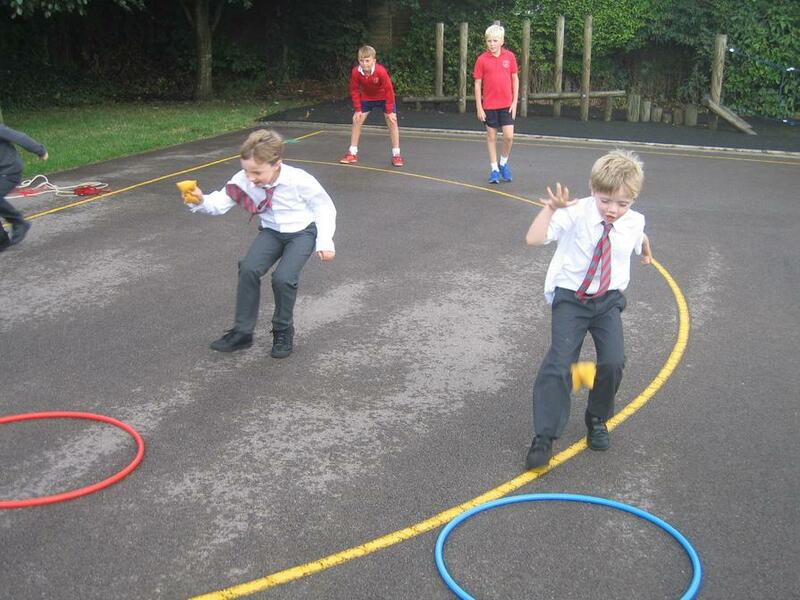 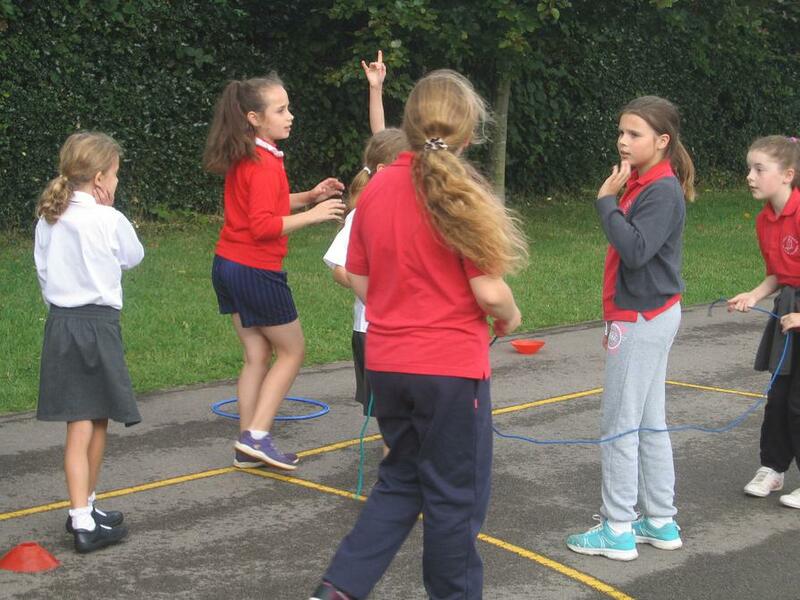 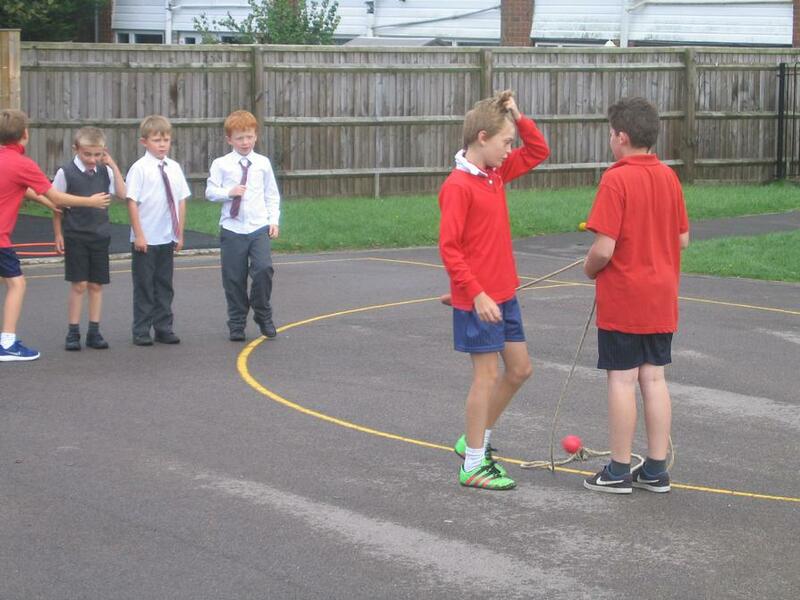 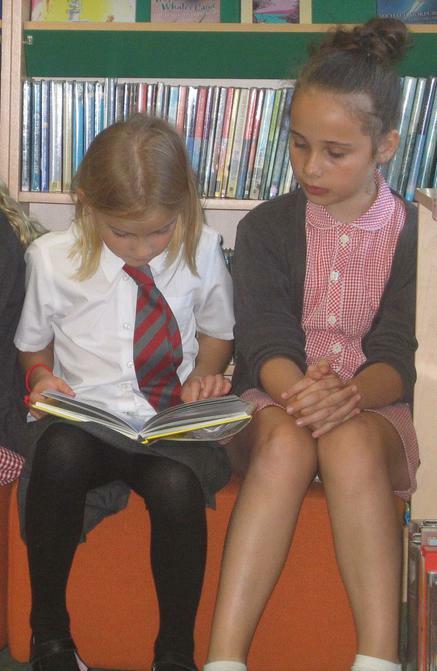 This year all the year 6 children have been buddied up with a year 3 pupil. 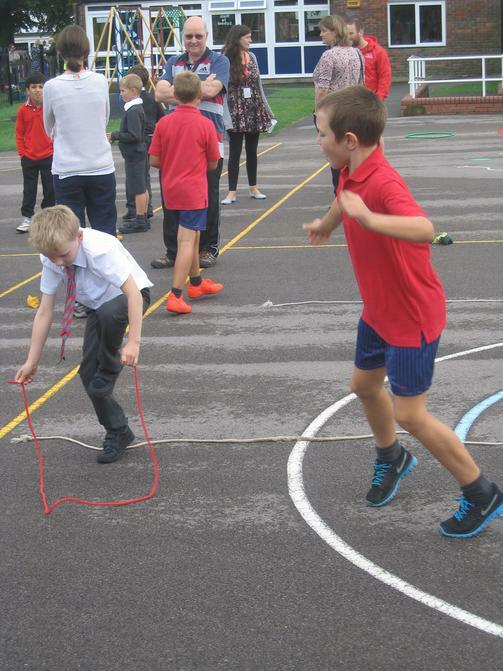 We all very excited, having already met our buddies and taught them some games they could play with the playtime equipment; and done some shared reading. 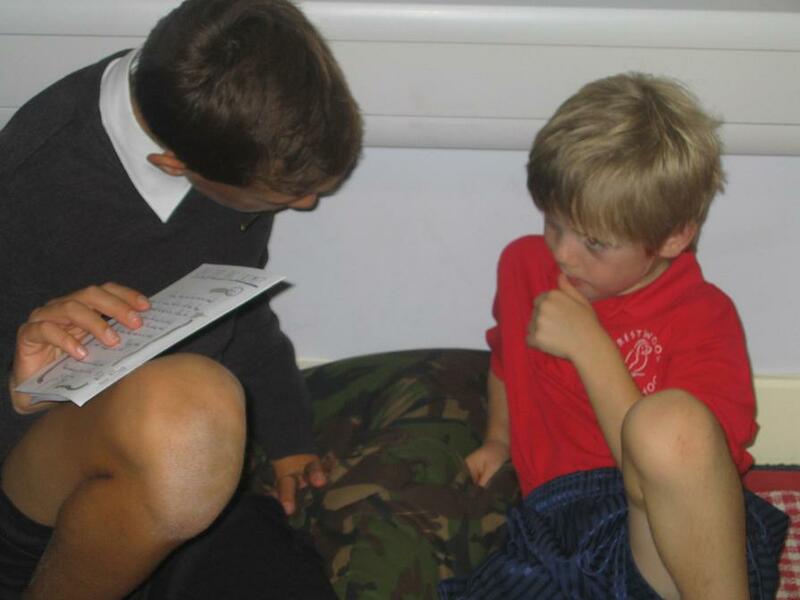 We are looking forward to helping our buddies settle into life at PJS.